Back in October, I went camping at Tuckahoe State Park with my girlfriend for a long weekend around Columbus Day. 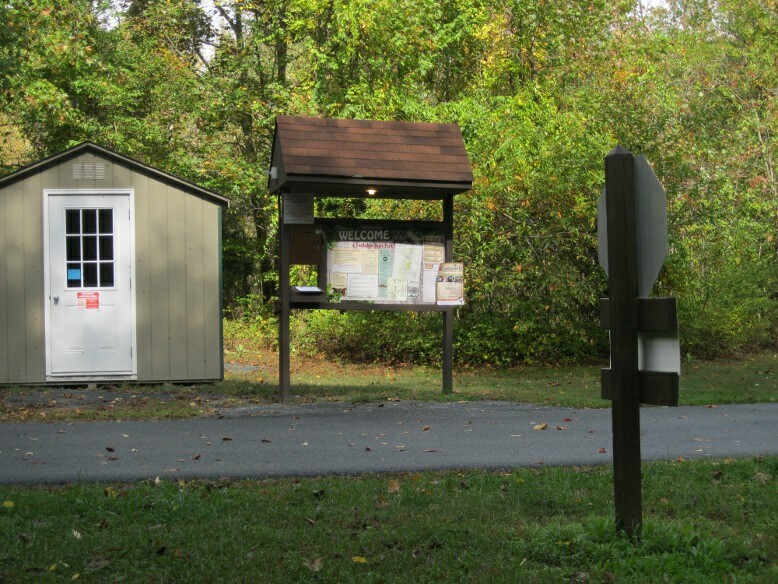 Tuckahoe State Park is located on the Eastern half of Maryland, close to the town of Denton. It’s also fairly close to the Chesapeake Bay Bridge which takes you into Annapolis, Maryland. We stayed in one of the “mini cabins” that they offer because this was easier and potentially warmer since October weather can be unpredictable. The cabin costs $50 a night so with the four nights we stayed it ending up costing a little over $200 when you add in the fees and taxes. Does this sound familiar? We did a similar trip last year when we visited Elk Neck State Park which is also located in Maryland. 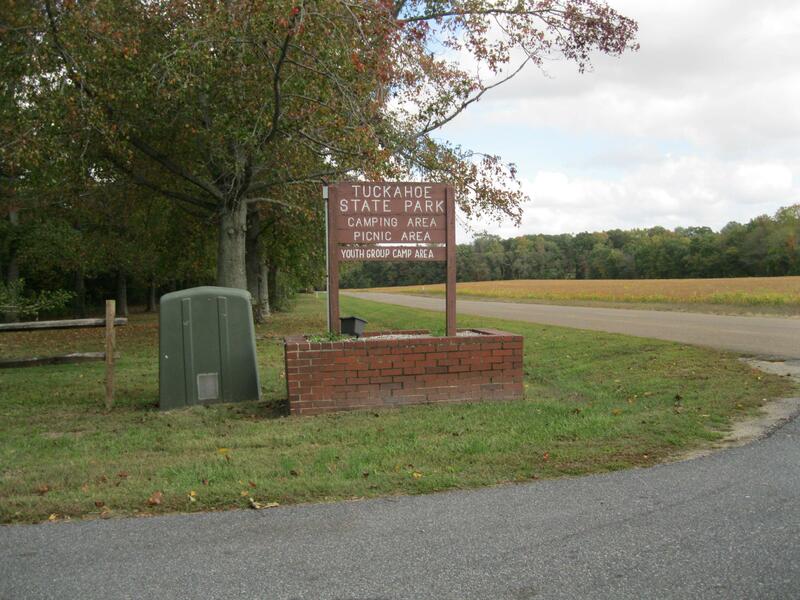 The park is located in a nice area with a few small towns nearby, but there is a lot of farm land in between. You’ll probably have to drive at least 10 minutes to get somewhere but it’s a lot of open roads so it’s not too bad. There’s a newer Food Lion in the nearby town and it’s nice and relatively new. You can pick up ice here or anything you forgot. There was also the camp store that was open on Friday’s and Saturday’s which sold ice, ice cream, maps, and some other camping supplies. I’m not sure if the store is open daily during the Summer but those were the Fall hours. The park reservations are all done online or through an honor system with a clip board at the entrance. You write your name down on the clipboard, the amount of days you plan on staying, and then put the money into the lock box. There is also a wood shed right nearby that operates in the same manner to get firewood. The wood shed does close at 9PM when a ranger comes to lock it up though, so make sure you gather your firewood before then. The cabin we stayed in was relatively clean and even the mattresses were clean. They were a little on thin side and more like college dorm mattresses with a plastic-y feel to them. But they were comfortable enough, and you can’t really complain about something like that when camping. There was a small electric heater with a digital thermometer that worked great and also an air conditioner which is a bonus if you plan on staying here in the Summer. There was plenty of room between our campsites and our neighbors cabins, as well as the camping loop that was on the inside of us. The sites aren’t huge and you can see your neighbors, but there is enough trees and privacy that you don’t feel like you are right on top of them either. It strikes a good balance for a State Park camping experience. Most of the camping sites do have a tent platform for you to set up a tent as well. The bathrooms were clean and the showers actually had a separate changing area attached to them which I thought was nice. Since the park is based on the honor system, we didn’t have any actual interactions with rangers but they did patrol the park regularly. There is plenty to do at this park as well, there is a fairly large lake and they rent canoes and kayaks to explore the lake and the creek. You can bring your own boats too, but no gasoline motors are allowed on the lake. You can also fish along the creek and at the lake, and there is a huge playground near the lake. There is also a decent amount of hiking trails which we took full advantage of when the weather permitted it. Part of the park is the Adkins Arboretum which was cool to see as there is a ton of little trails through the woods and lots of signs describing all the wildlife. 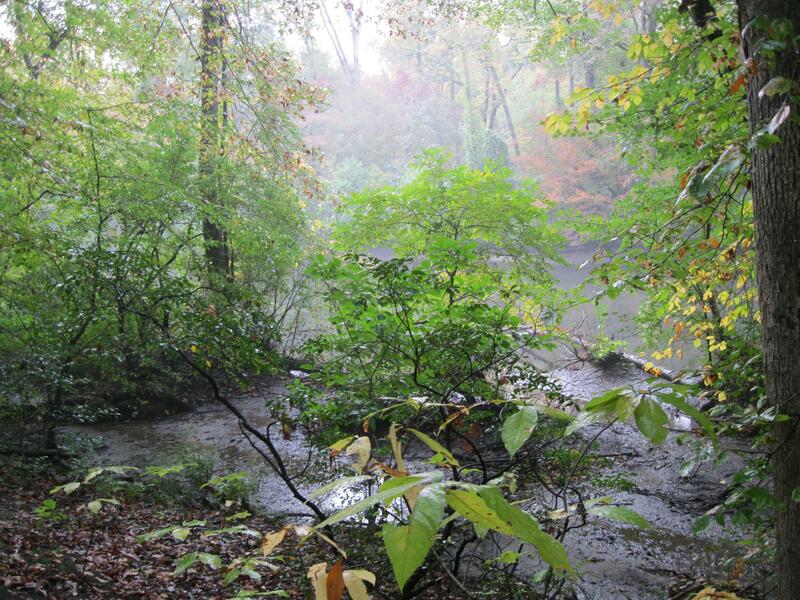 Overall I think that Tuckahoe State Park is a nice little getaway and slice of nature. 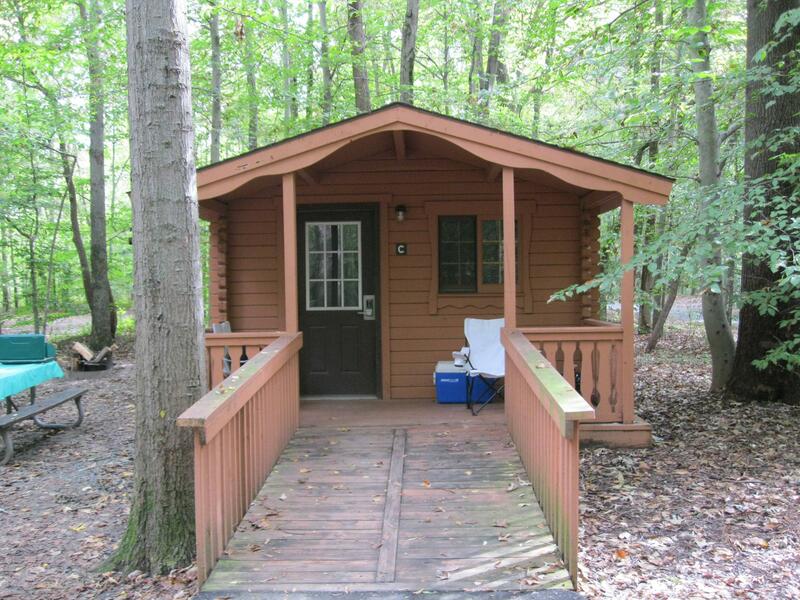 The mini cabin that we stayed in is comfortable with its heat and air conditioning. Even if you are using a tent or an RV I see no problem with visiting here, as the driveways have plenty of room and the park itself is great. There is boating, hiking, fishing, biking so there is appeal to anyone that loves the outdoors. There is even a fitness trail if you are missing the gym during your vacation! This park didn’t blow me away, but we had a great trip I would recommend stopping by a weekend if you’re in the area. Looks like a cute campsite 🙂 not bad for a weekend getaway at all! Yeah, it was a nice trip! We dealt with a little rain the Friday night we got there but we were able to eat and set everything up before it started raining. Other than that we had decent weather and turned out to be a fun time.